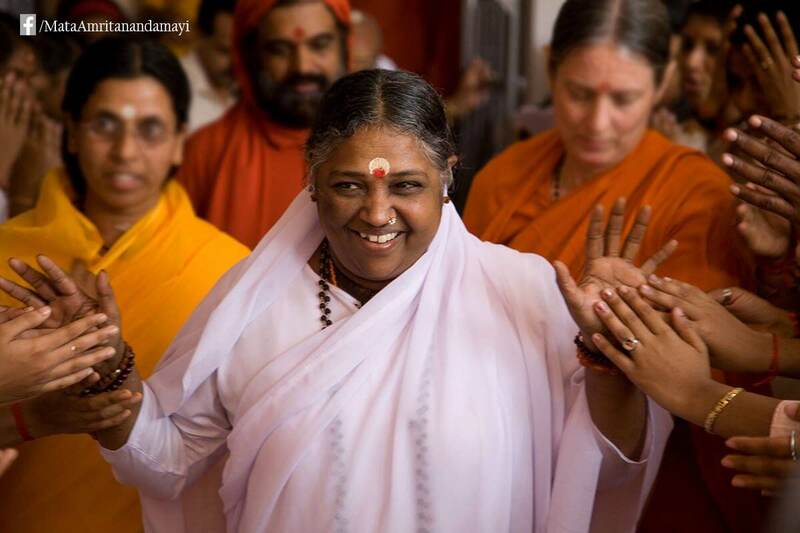 Sri Mata Amritanandamayi is a globally recognized humanitarian and spiritual leader, known throughout the world as ‘Amma’. She has served the world-community for decades, imparting wisdom, strength and inspiration. 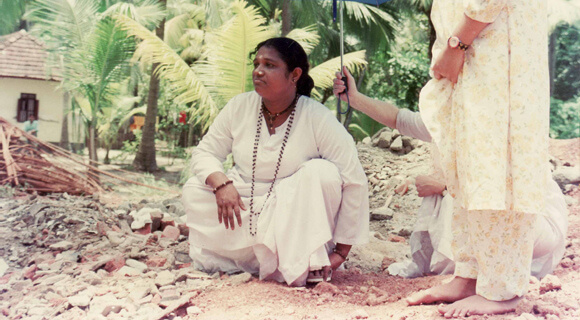 Through her extraordinary acts of love, inner strength and self-sacrifice, Amma has inspired thousands to follow in her path of service to humanity. 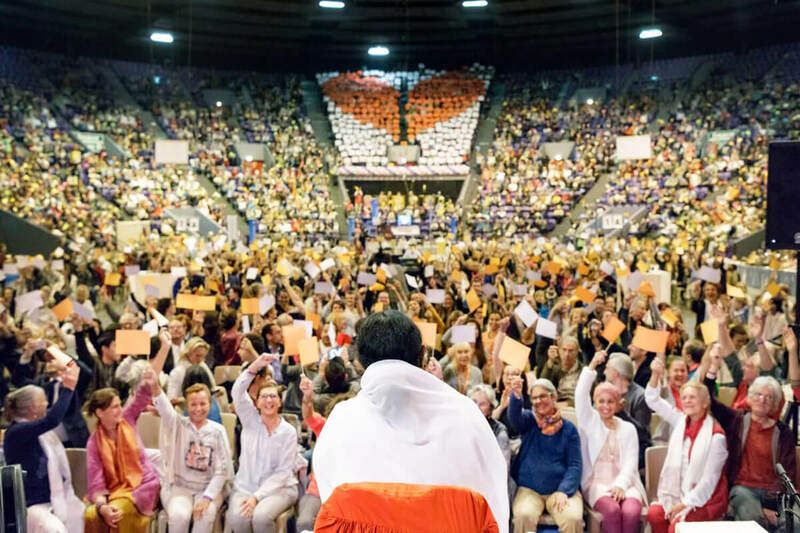 Amma has travelled the world for more than 30 years, bringing love, hope and peace through her talks and her darshan – her signature embrace that is a powerful symbol of unconditional love. Accessible to everyone, she has hugged an estimated 37 million people worldwide, and inspired a global volunteer-based humanitarian movement, Embracing the World (ETW). 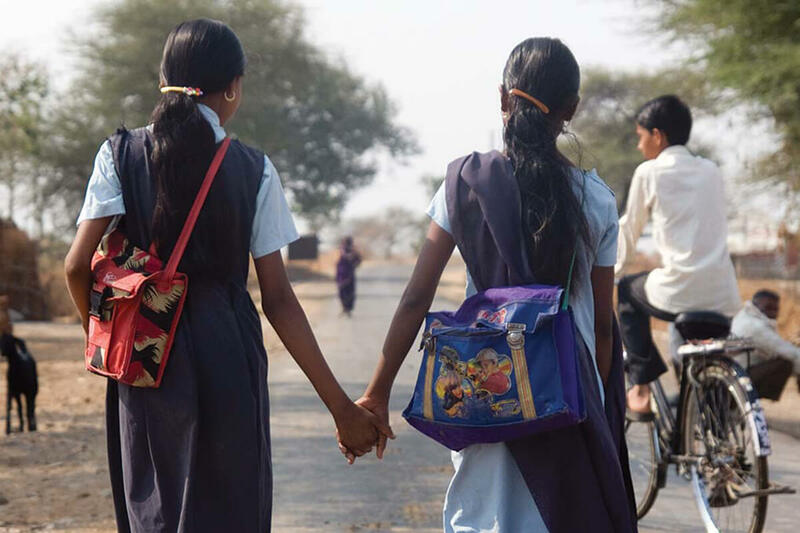 ETW is a UN-recognized NGO which helps alleviate the burden of those living in poverty by meeting their basic needs – food, shelter, education, healthcare and livelihood. ETW also works in the fields of environmental conservation, innovative research and helps populations in the aftermath of major disasters. Honouring her contributions to the effort in spreading world peace and harmony, Amma has received many international awards including the Gandhi-King Award for non-violence, at the UN headquarters in Geneva in 2002. Amma regularly tours the USA, Asia and Europe. 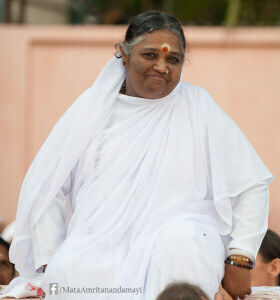 It is also possible to see her when she is at her center in Kerala, India. Amma says that love expressed is compassion, and compassion means accepting the needs and sorrows of others as one’s own. Amma awarded the “Medal of Honour” by Ms. Evie Evangelou founder of Fashion 4 Development (F4D) for more than 25 years of humanitarian work in the fields of human rights, health and well-being, including food, access to water and power, housing, medical care, and the right to education and skill-training. Amma was invited for the daylong function by the Special Envoy for the Protection of the Planet in the Summit of Conscience for the Climate in Paris, organised by the French President Francois Hollande. Balagokulam, an organization promoting Hindu cultural education since the 1970s, bestowed its 18th annual Krishna Janmashtami Award upon Amma on 4th September 2014 at Amritapuri Ashram. Bestowed with the Kavithilakam Pandit Karuppan Award at Kochi, India. Awarded proclamation on behalf of the State of Michigan, U.S.A., to Amma commemorating Amma’s 60th birthday, the official proclamation describes Amma as a true citizen of the world and recognizes Amma’s charitable works worldwide. Awarded first Vishwaretna Purskar (Gem of the World Award) by Hindu Parliament on April 23rd, 2013 at Thiruvananthapuram, India. Inaugurated the Swami Vivekananda Sarda Shati Samaroh, the 150th Birth Anniversary of Swami Vivekananda at Siri Fort Auditorium, New Delhi, India. Amma addresses the United Nations Alliance of Civilizations in Shanghai on “Coexistence $ Engagement between cultures”. Amma was the only spiritual/religious leader invited to the conference. 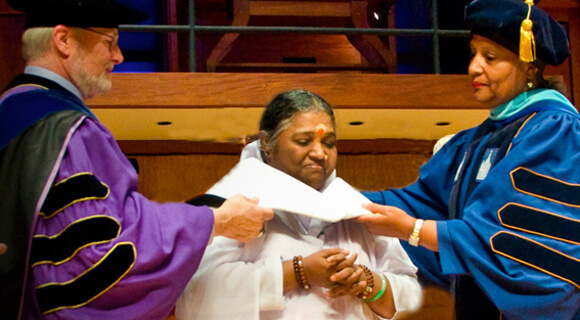 Amma receives an honorary Doctorate in Humane Letters from the State University of New York at Buffalo. Amma was presented with Junior Chamber International’s highest honor, the ‘Shanti Swaroop’ peace award by Vallabh Das, Chairman of the Junior Chamber International Peace Award Foundation at Kozhikode, India. Amma is a keynote speaker at the Summit of the Global Peace Initiative of Women at Jaipur, India. Amma receives the Philosopher Saint Sri Jnaneswara World Peace Prize at Pune, India. Amma receives Centenary Legendary Award of the Rotary Club International at Kochi, India. 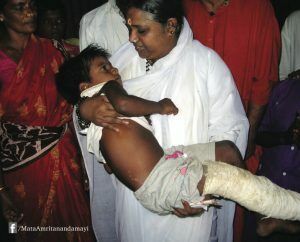 Amma receives the Care & Share International. Humanitarian of the Year Award.